Vodacom Group had a robust first quarter of its 2019 financial year, growing subscriber numbers year on year by 2.5 million — 1.5 million of which were in South Africa — and data revenue by 9.6%, it said on Tuesday. In the three months ended 30 June 2018, the JSE-listed telecommunications provider reported a 10.3% increase in subscribers to 76.5 million and a 4.2% in group service revenue. South African service revenue rose 4.9%. Reported M-Pesa mobile money revenue growth was a healthy 18.1%. Group CEO Shameel Joosub said the “strong momentum” reported in its annual results carried on into the first quarter of the new year. “In South Africa, despite a tougher economic environment, we grew service revenue by 4.9%, supported by customer growth of 9.5% to reach 43.1 million customers,” Joosub said. It added 1.4 million prepaid customers and 75 000 contract subscribers. Service revenue in South Africa was R13.8-billion, supported by an improvement in customer revenue growth trends, despite subdued macroeconomic conditions. Contract customer revenue growth recovered from declines in previous quarters, to grow at 0.8%. The was supported by improved performance in the enterprise segment, reflecting customer and average revenue per user (Arpu) gains from recent contract sign-ups and improved usage. Overall, contract Arpu declined by 2.3%, an improvement in the trend from the last two quarters. Voice revenue declined by 2.6%. Fixed-line revenue growth was 22%, while Internet of things connections increased by 25.2% to 3.9 million. 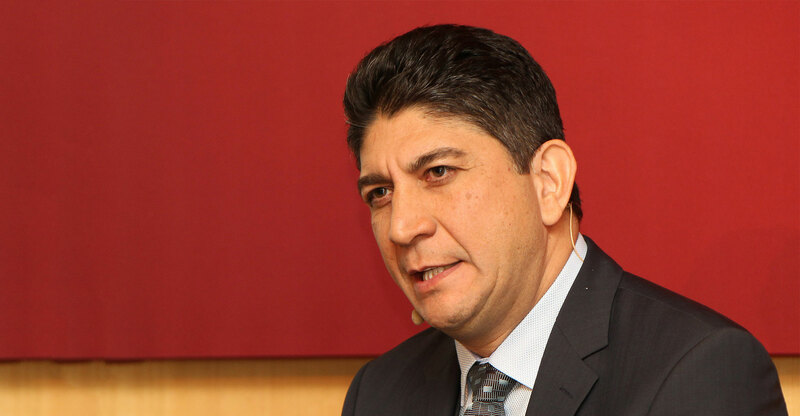 Vodacom spent R2-billion on its network in South Africa during the quarter, with a focus on new sites, upgrades and capacity to improve network quality and performance. Vodacom’s 4G population coverage expanded to 81.5%, up from 75.9% a year ago.